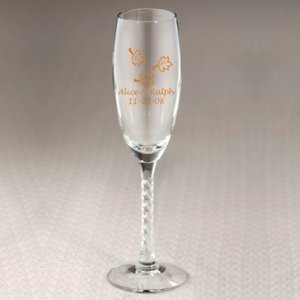 Give your wedding stylish fall flair with these beautiful twisted stem champagne flutes. We've shown a flute with our autumn leaf design, but there are over 50 designs to choose from. 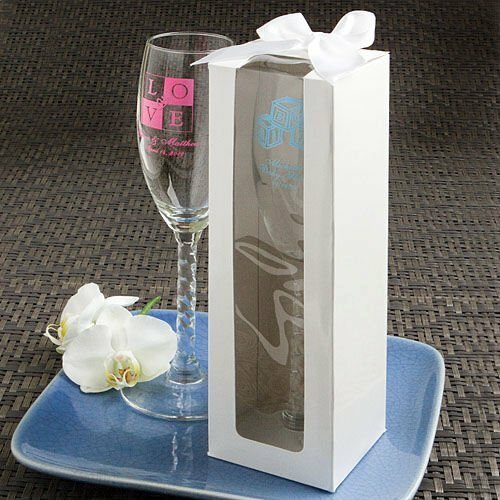 We'll add the bride and groom names along with the wedding date for an autumn keepsake that guests will love to receive.